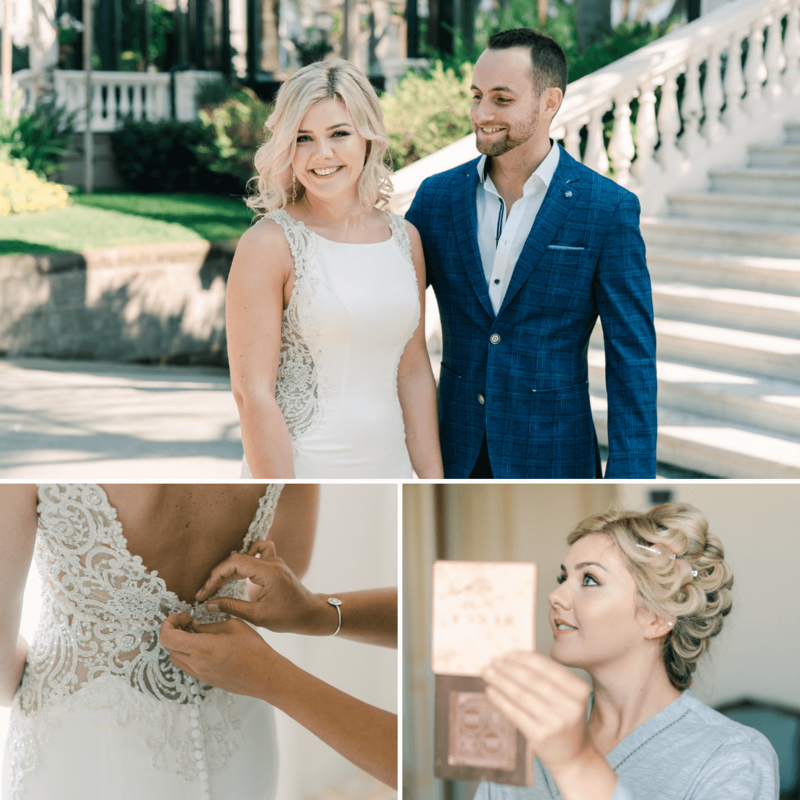 We join Emma and Matthew as they talk us through their special day. Emma and Matthew have been together for a decade, even with Emma being an award-winning florist, the topic of marriage never really came up between them. However with a little help from Google and some much needed R+R, perhaps the timing was perfect. There was no official proposal as such, but Matthew did drop several hints to show Emma he was eager to get married. 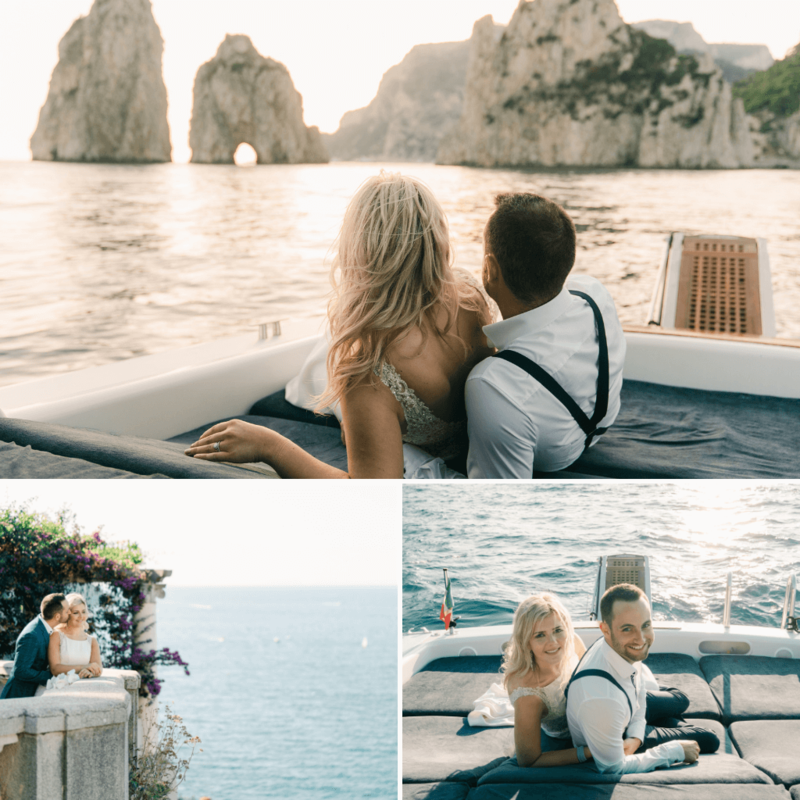 Sorrento and the Amalfi Coast is becoming increasingly popular for weddings, with only three civil ceremony venues, which are buildings of historical significance and linked to the town hall, they get booked fast and months in advance. 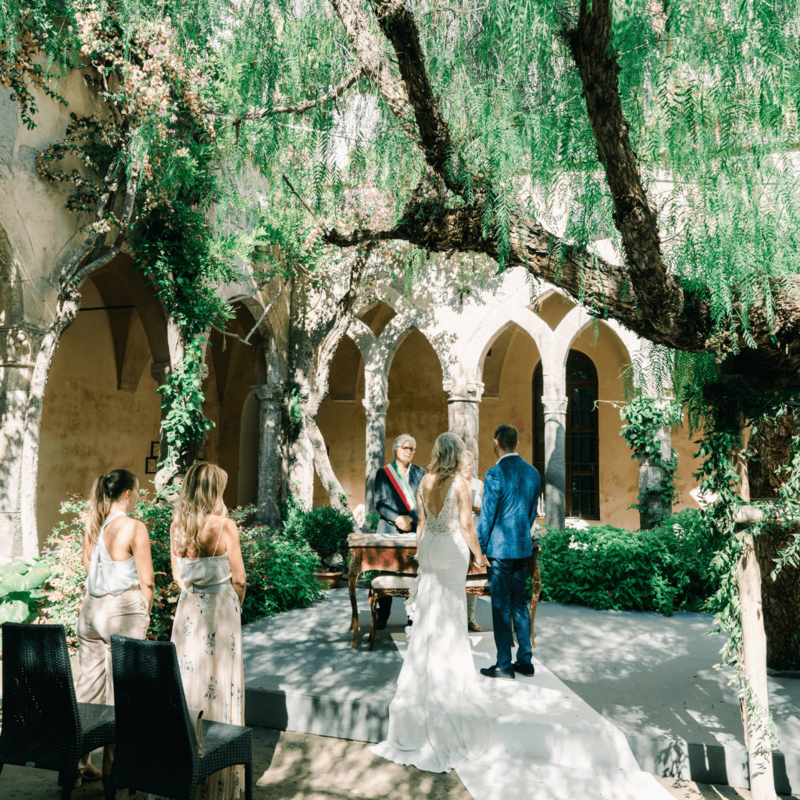 ‘Thankfully Cheryl had a cancellation for Cloisters, the venue I had set my heart on towards the end of our dates so I snapped it up without hesitation,’ recalls Emma. 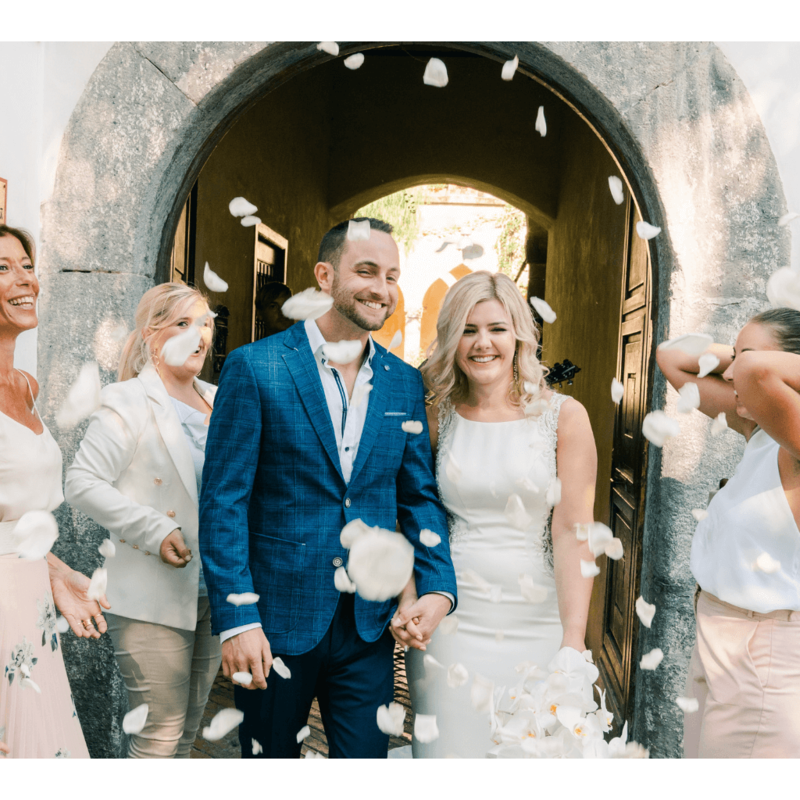 After the ceremony at Cloisters, Emma and Matthew headed to the Grand Hotel La Favourita for celebratory drinks, followed by a stunning photo shoot amongst the cobbled back streets of Sorrento. As Emma works in the wedding industry, it was much harder to keep everything a surprise. They tried to keep it a secret to everyone apart from a couple they were close to. Matthew knew he could trust an old friend Chris Suitor from Suitor Bros Menswear in Belfast to kit him out for the occasion. 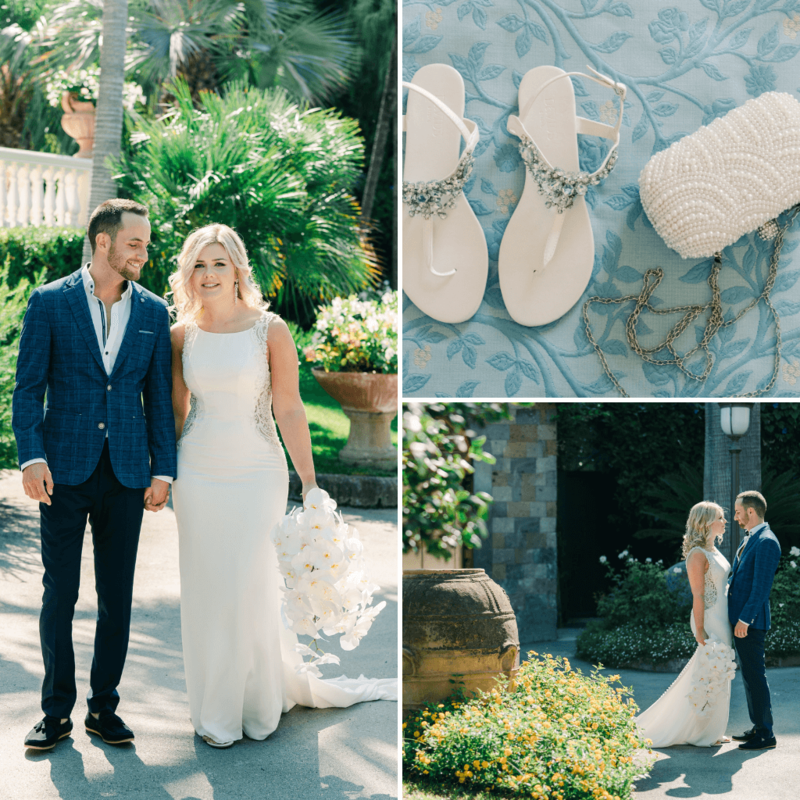 He picked out a blue checked blazer, with co-ordinating tailored trousers and braces, plus navy suede loafers – the perfect look for a destination summer wedding. As this wasn’t a traditional wedding, Emma and Matthew chose to walk up the aisle together. Possibly the only tradition the couple kept was Emma only revealing the dress on their ‘first look’ photo shoot, capturing Matthew’s reaction to his soon-to-be wife.